The BeWell Health & Wellness program wants to make sure that the health programming that it is providing is as helpful as it can be for you, so we decided to put together a Youth Board composed of scholars from across the many BridgeUp library locations. The Youth Board will help us to create newsletters, social media content – anything that BeWell can do to help the scholars at BridgeUp feel healthier, less stressed and more supported! You will have a say on how everything we produce looks and what it says. Also, being on the Youth Board is considered an internship with Columbia University that you could put on your high school resume. Where does the Youth Board meet? Since scholars will be coming from different libraries across Manhattan and the Bronx, we will be hosting the majority of Youth Board activities in our offices on 125th street in Harlem. Youth Board meets every other Friday from 4-6 pm during the school year. Over the summer, we might meet weekly to work on special projects or go on field trips. 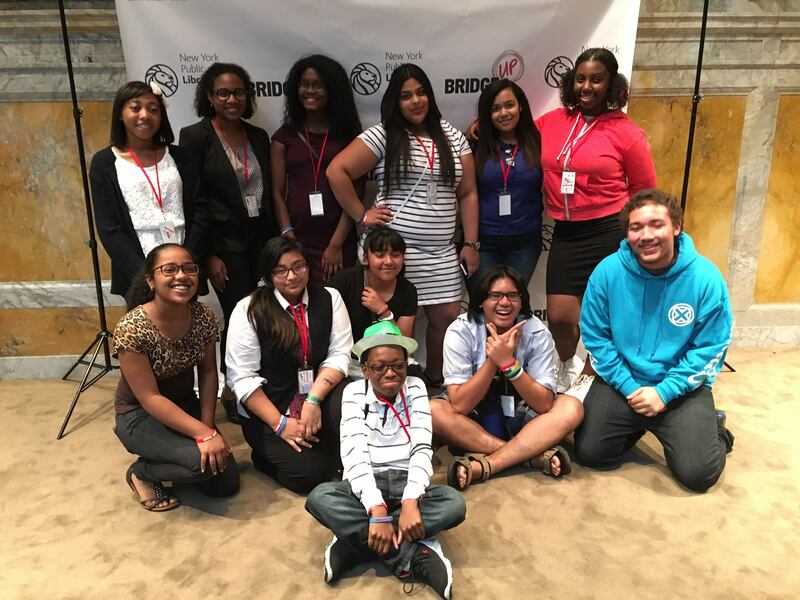 Sometimes, the Youth Board will be invited to participate in special health education events across the city that take place outside of normal hours, such as the Teen Health Conference at New York Presbyterian Hospital, which is usually on a Saturday. Does it cost anything to participate and do I get paid? It is completely free to participate! We will provide MetroCards for your travel to and from meetings and will also provide snacks and gift cards as a thank you! Additionally, there may be other perks that may become available based on participation. How do I apply to be on the BeWell Youth Board? If interested, please complete the BeWell Health & Wellness Youth Board application. You can either give your completed application to your Fellow and they will get it to us OR email your application to contact@bewellbridgeup.org with “BeWell Youth Board Application” written in the subject line. If you have any questions or comments regarding the application process, please contact BeWell Program Staff at contact@bewellbridgeup.org.